The Drive Bariatric Perching stool is available in White or Brown. 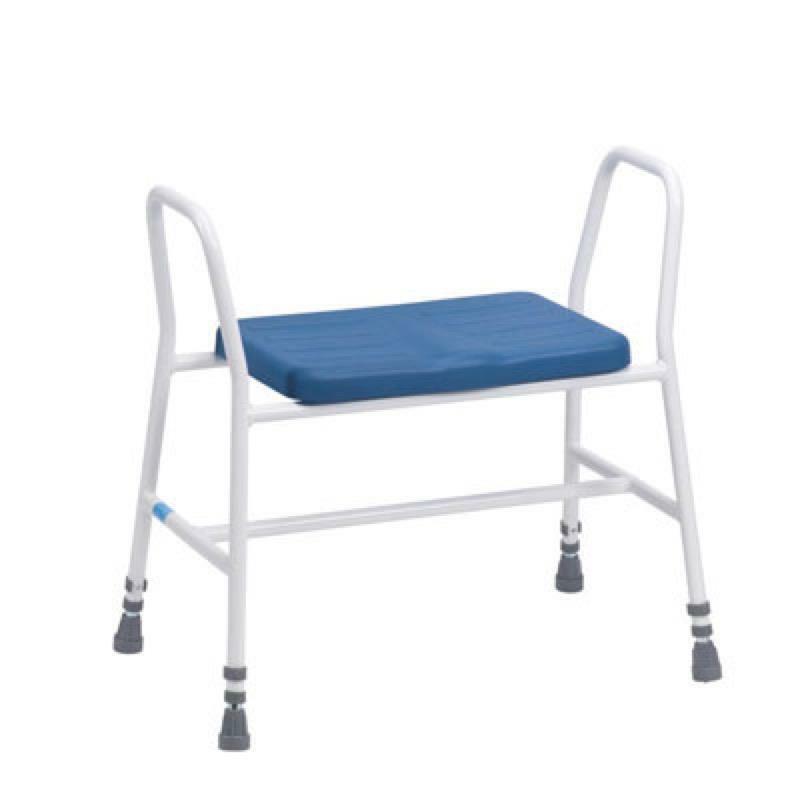 Comes with tubular arms and is height adjustable. The padded PVC heat sealed upholstrey makes the stool more comfortable and also conforms to required fire regulations. The steel tubing is high tensile and features a H - Section for added strength.